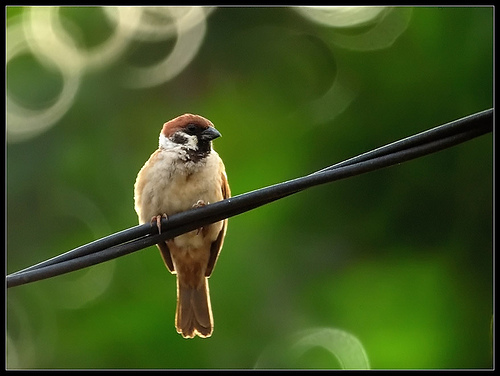 Unlike brother House Sparrow, the Tree Sparrow is less adapted to cities and urban environments. 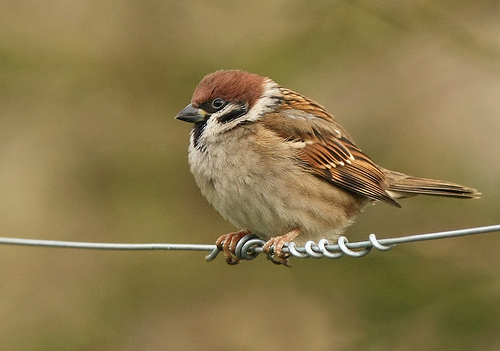 You will often find the Tree Sparrow in the countryside, looking for seeds along meadows and the edges of the forest. The Tree Sparrow has a brown crown and a distinctive black spot on the cheek.